This project was created in collaboration with Benjamin Chan, Malone Chen, Kendall Slade & Chris Baker. 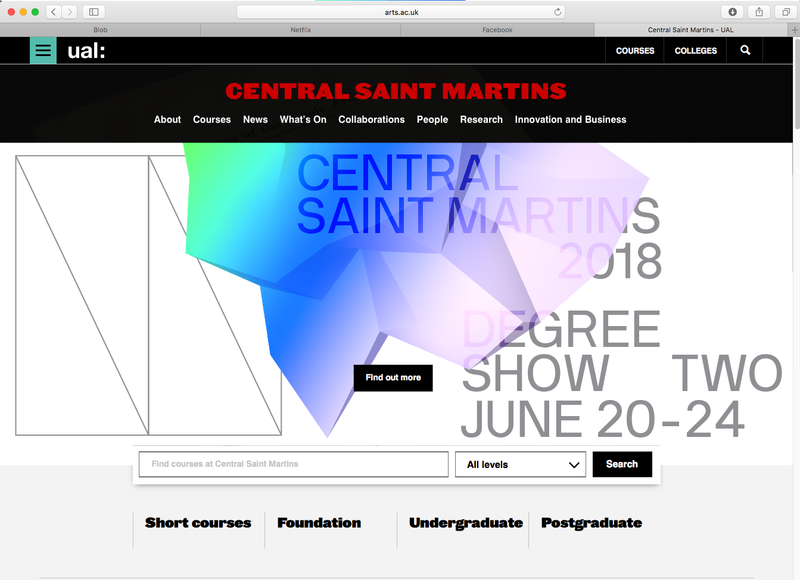 The Central Saint Martins Degree Show 2018 Identity is formed on the foundations of the emerging creative talent from CSM. 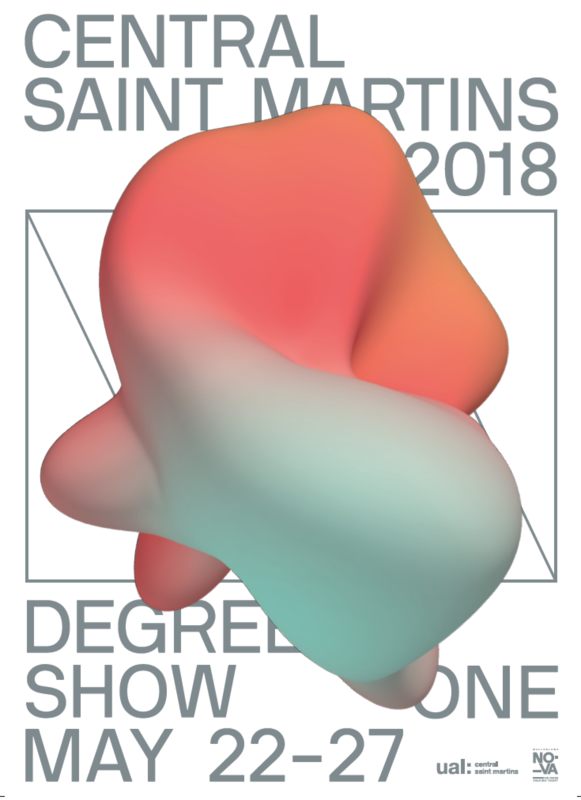 The shape represents the highly diverse nature of CSM students and the creativity that is on exhibition across a range of disciplines. 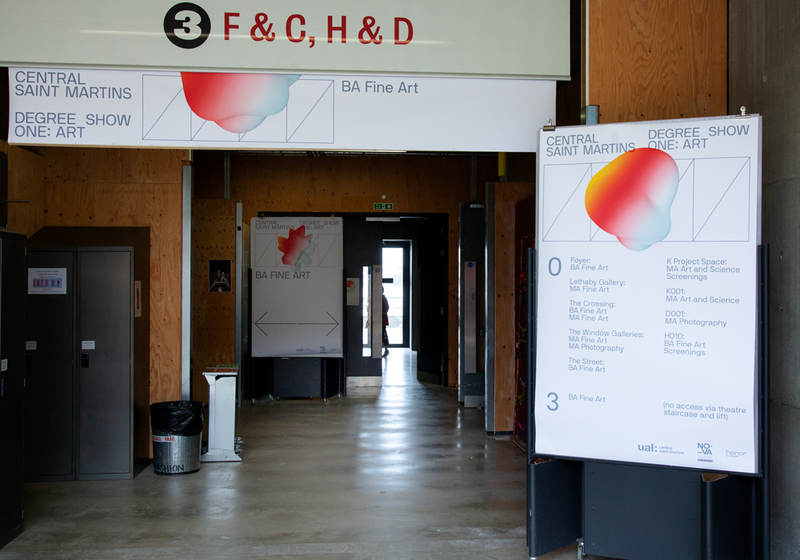 The interactive identity creates a living embodiment of the energy and excitement created by students, staff and visitors alike and captures the buzz that happens in the build-up and across the degree shows. 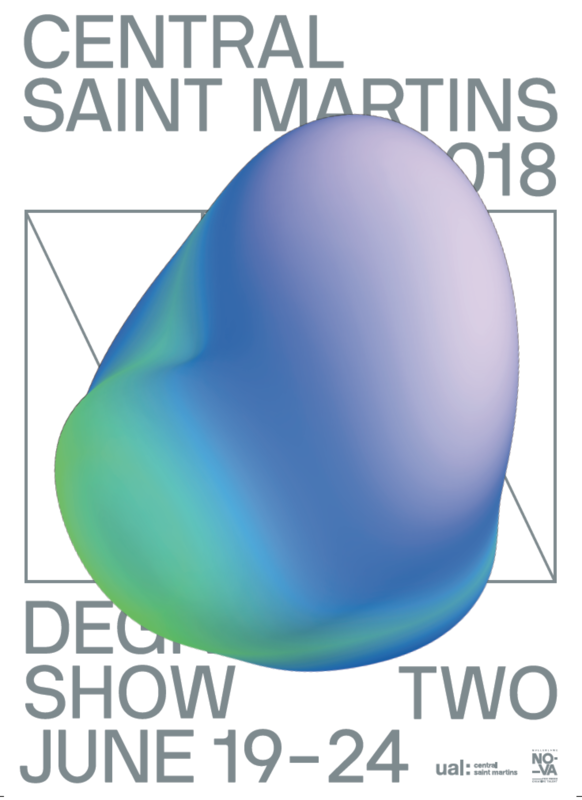 This ever shifting shape is reactive to six real-time variables: countdown to the shows, web interactions, number of people in the building, noise & movement (with interactive zones) and social media activity using #CSMemerge. Beginning as a pure white sphere, the shape slowly comes to life and changes colour as the shows draw near. Tweets using the #CSMemerge cause the shape to pulse, and instagram posts dictate the height in which the pulse occurs. Users can effect the shape in real-time with web interactions, by clicking on the shape rapidly online, it momentarily reduces the Polygon count on the shape. In the CSM building, a camera and microphone near the entrance tracks the movement and noise, effecting the shape in real-time. Noise makes more displacement noise on the shape, making it more spiky and movement effects the speed in which the shape moves. A big screen in the buildings entrance shows all the real-time interactions as an infographic and the shape as it pulses and reacts to the buzz created.